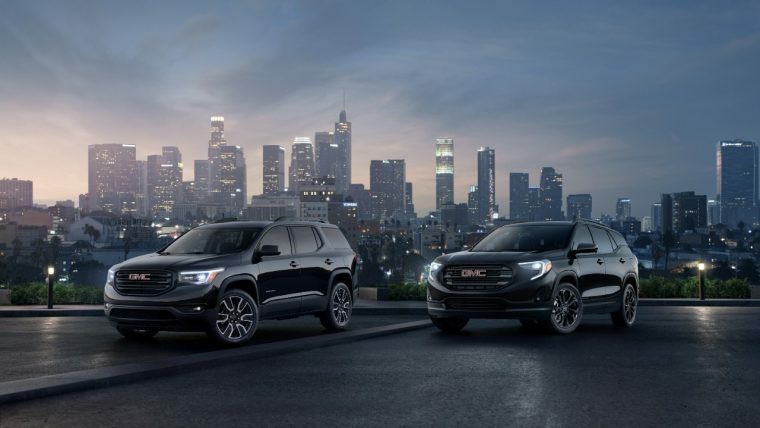 GMC is offering customizable Black Editions for its 2019 Terrain (right) and Acadia SUVs. With new 2019 Terrain and Acadia Black Editions, GMC is hoping to satisfy demands by customers to make its premium SUV lineup even more customizable. “Black” refers to the new editions’ darkened exterior treatments. The Terrain can be fitted out with 19-inch gloss black aluminum wheels and black exterior model and trim badging. 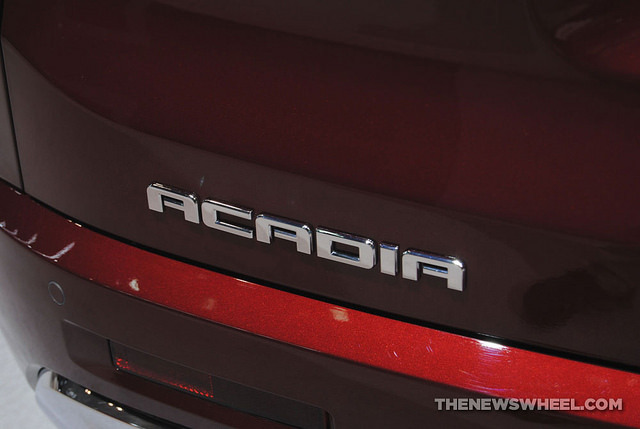 The Acadia can be personalized with black headlamp and taillamp details and 20-inch machined aluminum wheels with black accents. Features available on both editions include black mirror caps and roof rails and a darkened grille insert with black surround. Exterior colors available for the GMC Black Edition SUVs include Ebony Twilight Metallic, Satin Steel Metallic, and White Frost Tricoat. GMC says its decision to offer new SUV packages was driven by internal sales data showing that one in five new SUV owners spend extra money on personalized features after buying a vehicle. So it makes financial sense for GMC to offer personalized options straight from the assembly plant. The new Black Editions should help GMC sales continue to trend upward. The brand as a whole posted its best sales in 12 years in 2017. So far this year, Terrain sales are up 17%, while Acadia sales have increased by 22%.